"Brandie was a terrific advisor throughout the process of selling our property and we would highly recommend her." "Brandie helped me find and buy my new home. Brandie is the consummate professional real estate broker. She is extremely knowledgable about the local North Shore market. When I had a question that was not in the listing, she would research and find the answers for me. Brandie is both fabulous in negotiating and "hand holding ". I highly recommend Brandie for any and all of your real estate needs. She is the absolute best!" "Brandie is outstanding! She was alongside us every step of the way throughout the entire process. We benefited from her extensive knowledge, attention to detail, and thorough follow through. We would not have achieved this positive result without her advisement and expertise. She went above and beyond for us and I would highly recommend her!" "Brandie and Dan were tremendous in their support, Dan often stepping in to close gaps created/left by the attorneys in the transaction." "Brandie has been representing me in real estate transactions for over 10 years. It doesn't matter if it's an apartment rental or an expensive listing, she always takes care of every detail." "Brandie and Dan fulfilled all of my needs to successfully complete my real estate transaction. I will gladly recommend them to all of my friends and family if they have a need for a realtor"
"3rd deal with Brandie, and she is the absolute best at her job. We would never even consider working with anybody else. Kept us in the loop consistently. Always made us feel like we were her only client (when we knew damn well we weren't). Went well above & beyond with helping us as we lived out of state. Such a pleasure to work with!" "My wife and I have had a few experiences with different Real Estate brokers in the Chicagoland area and will never work with a different broker now that we have worked with Brandie. Brandie worked extremely hard and kept in regular communication with us to help us find the perfect home in an extremely competitive market with very low inventory. We tried to find our home through other channels first, we became extremely discouraged and started to think we would not be able to find a home in the area we liked. Brandie came to the rescue, helped us get tours before homes officially hit the market, wrote letters on our behalf, and properly guided us in the offer/negotiation phase. For those buying/selling a home in Chicago or the North Shore we can not recommend Brandie highly enough." "Brandie was very approachable and accessible which made the home buying process very smooth as I was a first-time home buyer. I couldn't ask for a more patient, supportive, responsive, and helpful realtor. She offered a plethora of advice and suggestions that helped from the process of finding a home to setting up my new home." 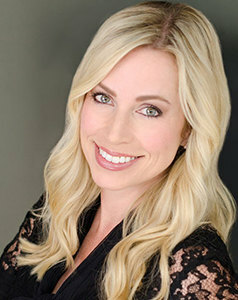 "In addition to being incredibly knowledgeable about the North Shore housing markets, Brandie has gone above and beyond during our search (dropping off letters in mailboxes, searching the town for pre-MLS Listed homes) and after our agreement (coordinating house changes, overseeing our home construction, staying involved when she could have easily disappeared). More importantly, Brandie has proven to be a great resource for my wife and I as we move to an area where we have limited knowledge of schools, churches, neighborhoods, associations, etc. All-in-all, Brandie has been phenomenal and I would highly recommend you connect with her as you begin to investigate the North Shore. There are a lot of realtors in the area, but many of them are living on their reputation from fifteen years ago and will ultimately pass you along to their team. With Brandie you get a personal level of service, knowledge and focus that is unmatched." "Brandie was a tremendous help as our Buyers Agent. She was generous of her time, and a knowledgeable and effective advisor and advocate throughout the buying process. Additionally, she was a great help in coordinating visits with various inspectors and contractors during the contract period which has proved to be very valuable post-closing." "Brandie has just the right amount of business smarts and personal savvy to handle complicated transactions. She is creative, level headed, even tempered and steadfast in her dedication to her client. I will choose to work with her again as soon as we have more transactions in her area!" "Could not have asked for a better experience ! From beginning to end Brandie gave 100% to ensure that the entire process was a success. Her candor, warmth and professionalism are something to be emulated by all agents." "Highly recommended. Brandie will go above & beyond to guarantee satisfaction." "Brandie was wonderful and did not quit until she found us the home we wanted." "Brandie is an exceptional realtor. I would not have made it through this process without her and can't recommend her highly enough. She guided us through every step. She is incredibly knowledgeable, professional, and supportive. We received an offer on our home 2 days after listing and she then helped us find the perfect home to buy. Overall outstanding service from an incredible person!" "This is the second time we have used Brandie Malay for a home purchase and each time she has been keenly attuned to our specific needs and incredibly diligent, engaged, and committed in guiding our search and helping us find the best possible home for our family. Brandie's knowledge of the market and how it relates her clients needs is superb! We have bought and sold several homes and Brandie has been among the best agents we have ever used!" "I used Brandie & Scott when selling my place and could not be happier with their efforts. It was immediately apparent that they were on my side as opposed to solely trying to make a commission. It was my first time selling a condo so I was a little apprehensive due to my lack of familiarity with the entire process. My apprehension was short-lived as they both earned my trust by patiently answering any questions I had, walking me through the selling process and calming any initial fears that I had. From helping to stage furniture, providing guidance on closing costs and making recommendations on ways to enhance the appearance/value of my condo, they had answers for everything. On top of that, due to their extensive contacts, I was able to get favorable prices on products/services when upgrading my place. Even though I was selling during winter, I still had a significant number of showings to prospective buyers. Brandie & Scott did a great job of keeping me informed of how these showings went and how my place compared to similar places in the neighborhood, yet never pressured me into making any decision that I was not comfortable with. I was especially impressed when it came time to close. Brandie was in constant contact with all parties, including the buyers attorney and lender, and made sure everyone got their tasks done in a timely manner. I knew I made the right choice in using Brandie & Scott when I saw co-workers use different agents and struggle mightily in their selling process. I was amazed at how much more professional Brandie & Scott were in how they communicated with me so that I was fully aware of where things stood throughout the selling. I definitely plan on using them when the time comes to sell my current place." "It's common knowledge that selling a property in this market is not an easy task, and selling for ita profit is even more difficult.....but that's exactly what happened with our River North condo thanksto the help of Brandie Malay and Scott Zelkin of @Properties! They are extremely knowledgeable and professional, and were very aggressive in the marketing of our property. Their price points were right on, and treated every showing as though that was the one that would make the right offer. When the that offer did come through, they knew exactly how to handle it to achieve the sale. We were on a time crunch because our new property was closing, and they made it happen. You definitely want to use the help of Brandie & Scott for your real estate needs!" "Working with Brandie on both the sale and purchase of a condo in Chicago was a true pleasure. Buying and selling real estate can be a very stressful process but when dealing with Brandie you will know immediately that she is truly looking out for your best interest. She was always available to address any questions or concerns that I had and in the end she was able to maximize my profit on the sale and find me the new condo that I was looking for." "Brandie went above and beyond to find us our dream home in Wilmette. She pounded the pavement, knocked on doors, worked until all hours and listened with an active ear in the early mornings and late into the night to ensure our all of our real estate decisions were made based on sound knowledge. Thank you Brandie!" "Brandie Malay was professional, proficient, and extraordinarily reliable and communicative. She is heads above Winnetka area brokers, and there is no doubt that, in the very near future, she will become the face of successful North Shore real estate transactions. We are impressed and satisfied clients, and will not hesitate to refer her with confidence." "Brandie was refreshingly professional, knowledgable, and a delight to work with. She took the time to get to know our needs and preferences and tailored our search accordingly. She was incredibly respectful of our time, extremely responsive, and served as a great advocate for our home purchase. I would recommend her to any friends or family looking for a home."